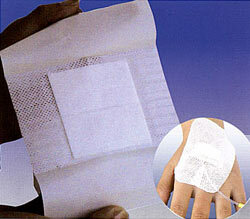 Adhesive wound dressing is a gauze pad affixed on a piece of ventilate non-woven plaster. It is ventilate, infection-preventive,easy to replace and keep clean. There are different sizes for different wounds, It is an ideal surgical dressing for protecting wound.